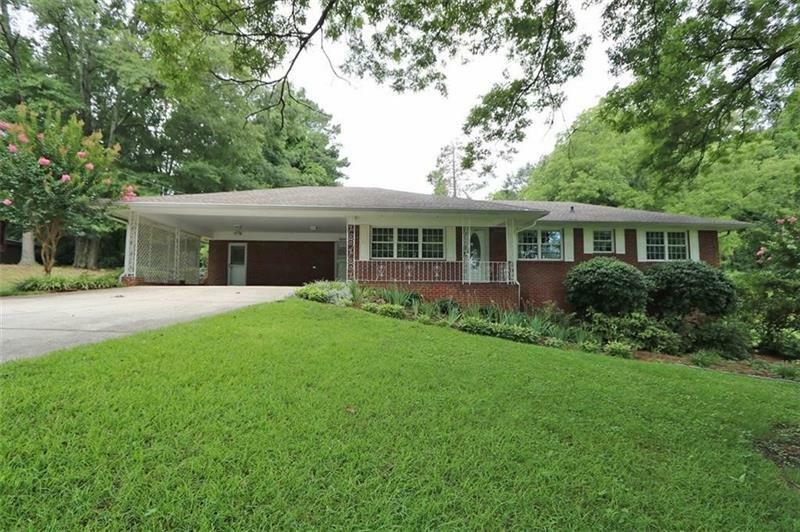 Well kept brick ranch with double carport- original family owner on level, wooded lot in great neighborhood. Open floor plan with fireplace/gas logs built in shelving and french doors to sunken sunroom. Original hardwood floors have been refinished in dining room and bedrooms. New plank flooring in living area, hallway and kitchen. New paint, recent roof and energy efficient vinyl replacement windows. Partial daylight basement with exterior entrance. Owner will make furnishings available. All appliances remain including refrigerator, washer/dryer and freezer. A representative from Metro Brokers has received your request to visit 8695 Whitley Drive on at .